FEATURES/SPECS Are you planning the next annual golf tournament for your country club? Or having a golf fundraiser for your golfing community? Maybe you spearhead a corporate 'friendly' annual competition tournament for bragging rights and trophies! 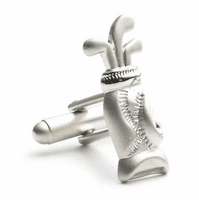 Whatever your event, this is a great golf award to choose for your winners! It's a golf bag desktop sculpture made from resin. The realistic sculpture is crafted with a full set of golf clubs, with one club all ready to tee up the ball! 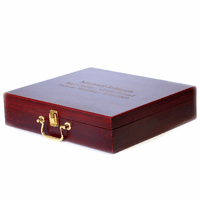 It sits on a solid mahogany piano-finish base with a copper-tone name plate on the front that's ready to laser-engrave your tournament information. 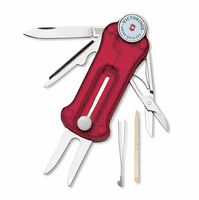 All engraving is free, and you can even have your logo added! 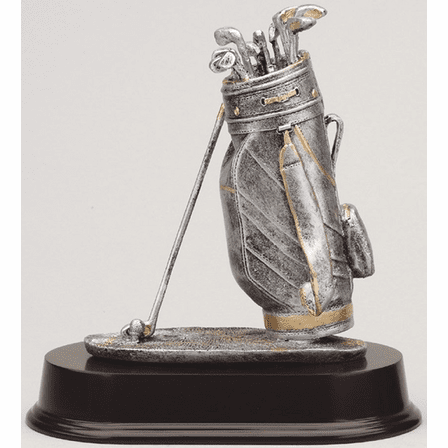 We package your sculpture trophy in an attractive gift box that's all ready for your presentation ceremony after the tournament. 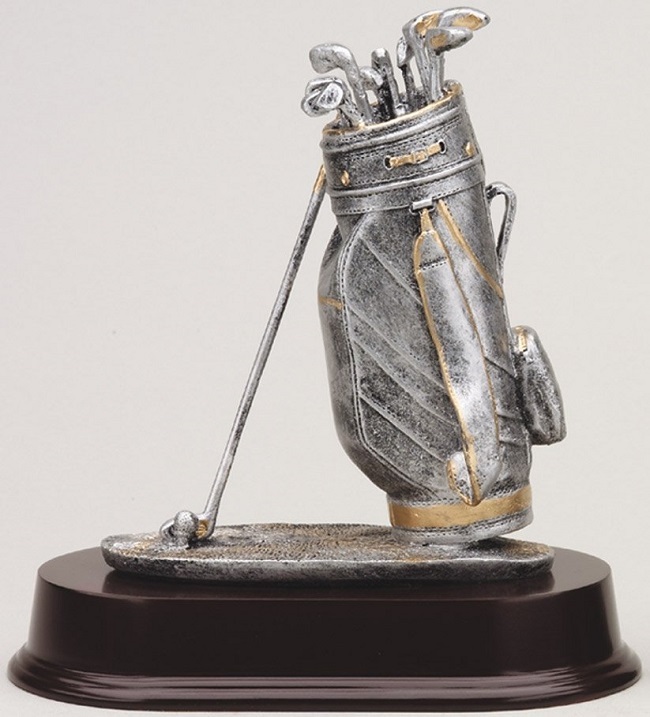 We know we are going to score a hole-in-one when you see the unique design and detailed craftsmanship in this sculpture golf trophy! We're so sure you'll love it that we are confident and happy to offer you our full Satisfaction and Performance Guarantee!